Rose quartz jewelry is feminine, delicate and elegant. It goes great with both formal and informal outfits and it can be a lifesaver when you don’t know what jewelry to wear. However, when buying precious & semi precious stones jewelry, there are factors that you need to take into consideration. As every gemstone is different, so are these factors. This is why we have decided to help you out and let you know how to buy rose quartz jewelry. Read further to find out what you need to know about it. As the name suggests it, rose quartz is a variety of quartz. It comes in a unique range of colors, from peach to vivid pink. Its stunning color is the result of a combination of manganese, titanium, and iron in its composition. Rose quartz, however, isn’t just pretty. It is also a durable gemstone with a 7 on the Mohs hardness scale. And as if its color and durability wouldn’t be enough to make it an awesome gemstone, you should also know that rose quartz is the Love Stone. This is the name it has in many cultures, while others prefer to call it the Heart Stone. Regardless of the name, this gemstone is amazing and you should definitely have it in your jewelry collection. How many types of rose quartz are there? Besides the classic rose quartz jewelry which you can find in every jewelry shop, there are another two very rare types of rose quartz. But before we talk about them, it’s important to mention that, as opposed to many gemstones, rose quartz doesn’t develop crystals or crystal faces. From a gemologist’s point of view, this is the most interesting feature of rose quartz. However, there is a very rare variety of rose quartz that forms crystals – the pink quartz. Besides this variety, the third type of rose quartz is known as star rose quartz. This beautiful gemstone can feature a cat’s eye effect or a star when the jewelry makers polish it into spheres or cabochons. As we mentioned in the beginning, rose quartz jewelry is fabulous. But you need to pay attention to several factors when buying it. We are going to talk about these factors so next time you go jewelry shopping you know exactly what to get. Yes, the color is a deciding factor when buying rose quartz jewelry because it affects its price. As with most gemstones, the deeper the color, the most expensive the pieces. You can get a pale variety of rose quartz or, if you want your rose quartz jewelry to stand out, you can get a deeper shade of pink. However, be prepared to pay more for a darker hue. For all its amazing properties, rose quartz is rarely clear. If you notice the rose quartz jewelry you want to buy has a cloudy look, then it means the gemstone has many inclusions. This is quite usual for rose quartz as this gemstone is rarely transparent. As you know, the cut of a gemstone has the purpose to maximize reflection and make it more brilliant. However, since rose quartz is generally cloudy, jewelers usually cut it as a cabochon for pendants, rings or earrings. Another common cut for rose quartz is to make it into beads or to give it a heart shape. If you notice the rose quartz jewelry you want to buy features a star-like effect, then be prepared to pay more. As we mentioned in the beginning, this start rose quartz variety is very rare. Unfortunately, as with every gemstone, there are options to create fake rose quartz jewelry. The good news is that you don’t have to be a jewelry expert to tell apart real rose quartz from the fake one. The transparency of the gemstone is a good indicator because rose quartz doesn’t have a good clarity. If the jewelry you want to buy seems transparent but has a low price, there is a 99% chance it is not genuine rose quartz jewelry. 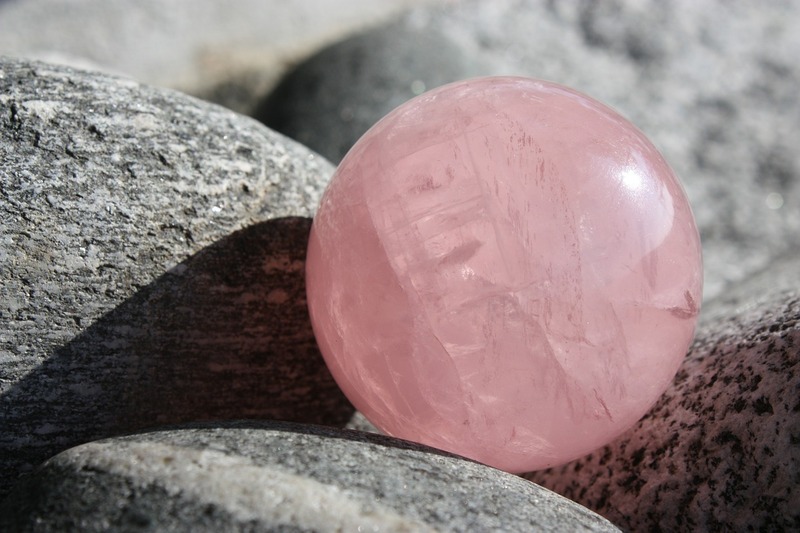 Another way to test rose quartz jewelry is to assess its hardness. Usually, rose quartz can scratch a steel file because it has a good hardness score. If it can’t, then it’s probably a fake variety. Last, but not least, look carefully at the gemstone and see if you notice bubbles inside it. Sometimes, you can find jewelry labeled as rose quartz that has nothing to do with this gemstone or any gemstone. It is simply dyed glass jewelry and it can have bubbles inside it. Rose quartz will never present bubbles inside. If you want to discover more about jewelry buying, check out our other articles as well. To see Ana Luisa’s unique gemstones jewelry collections, visit our online jewelry shop.